Samsung’s 2014 smartphone sales and profits have been poor. And, now, the company’s biggest competitor is making a tablet-sized phone, the one market where the Korea consumer electronics had an absolute advantage. 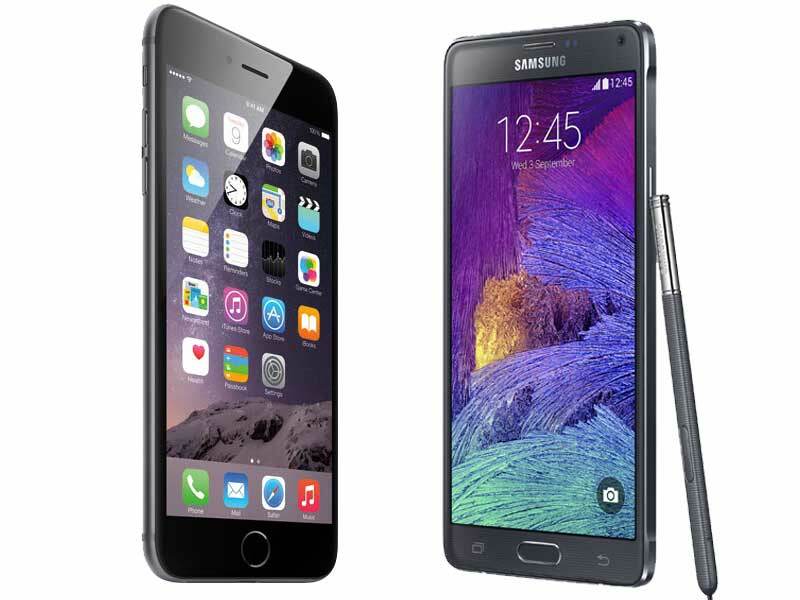 No more, because it’s Samsung vs iPhone 6 Plus and Apple’s winning. Just dimwit blogger speculation? Nope, we know Samsung is running scared because their hometown newspaper, The Korea Times, tells us so. Top management at Samsung Electronics is unhappy to see what’s happening with the sale of Apple’s two new iPhones — the iPhone 6 and iPhone 6 Plus — as consumer reaction has been tremendous. Yep, combined first weekend iPhone 6 and iPhone 6 Plus sales blew past 10 million units. Similarly, Apple’s mobile operating system update, iOS 8, has already hit 50 percent adoption. Needless to say, Apple and its CEO, who isn’t tech legend Steve Jobs, are on a roll. Although not being able to meet demand means Apple is leaving money on the table, the company is nevertheless firing on all cylinders — they can sell every iPhone 6 Plus they can make! “The positive reaction from consumers to those two Apple devices prompted us to launch the Note 4 earlier than previously scheduled. Samsung will be aggressive in promoting the Note 4 as it’s true that we are being challenged and pressured amid a difficult situation,” says an unnamed Samsung marketing official. Further, the company plans to ramp up its already aggressive marketing and match that with channel stuffing. “Samsung aims to ship 15 million Note 4s in the first 30 days after the product launches, which is very ambitious given the challenging situation,” said another anonymous Samsung talking head. So, look for the Galaxy Note 4 on or about Friday, September 26 paired with some seriously obnoxious marketing. Who do you favor in the Samsung vs iPhone 6 battle royale?